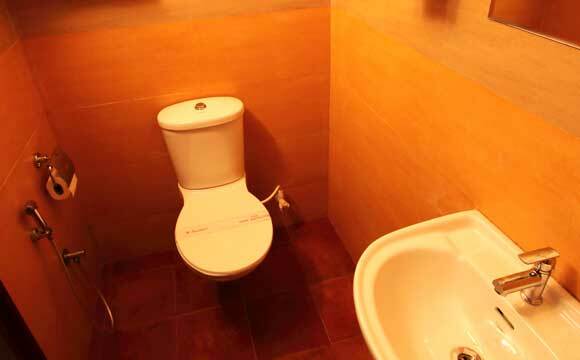 The rate is in US dollars for a single room. 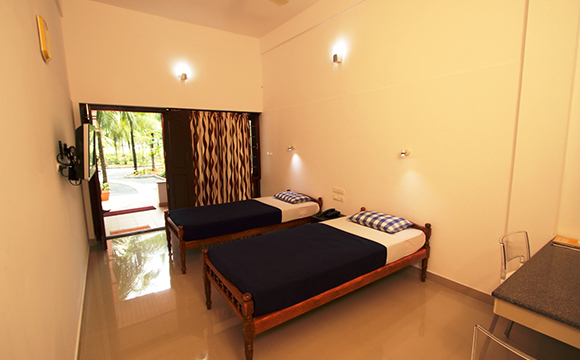 To calculate the cost of a double room – please add to this amount the surcharge from the bottom line. 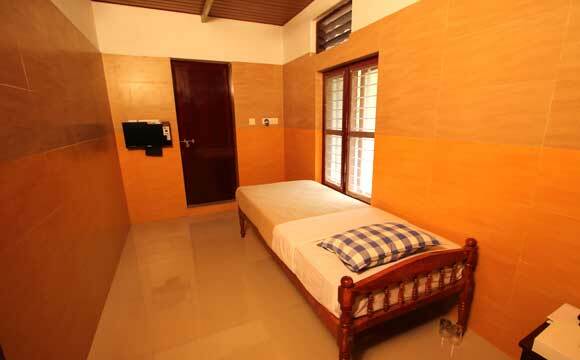 * The cost of accommodation of the accompanying person not undergoing medical treatment is 24 US dollars per day. 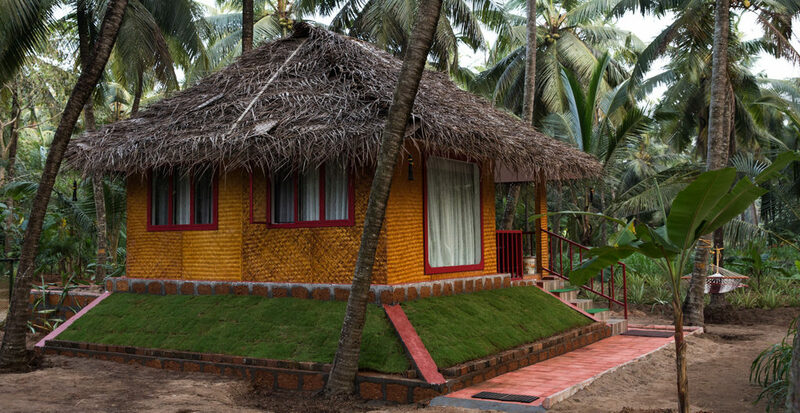 Acupuncture / Acupressure sessions (prescribed by doctors). 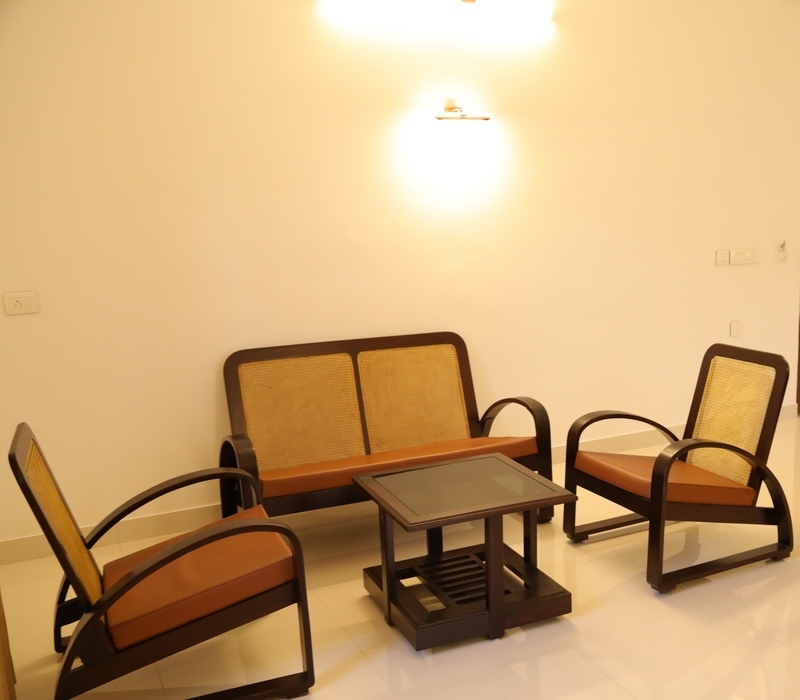 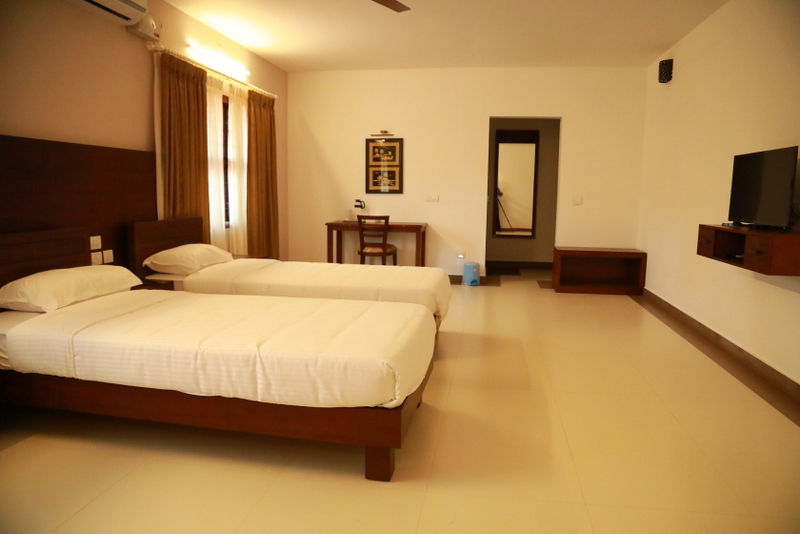 A comfortable air-conditioned room with located in the new building. 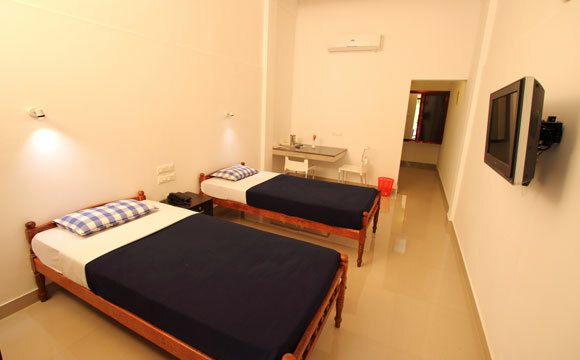 A comfortable air-conditioned room spacious enough to put the third bed in it, located in the new building. 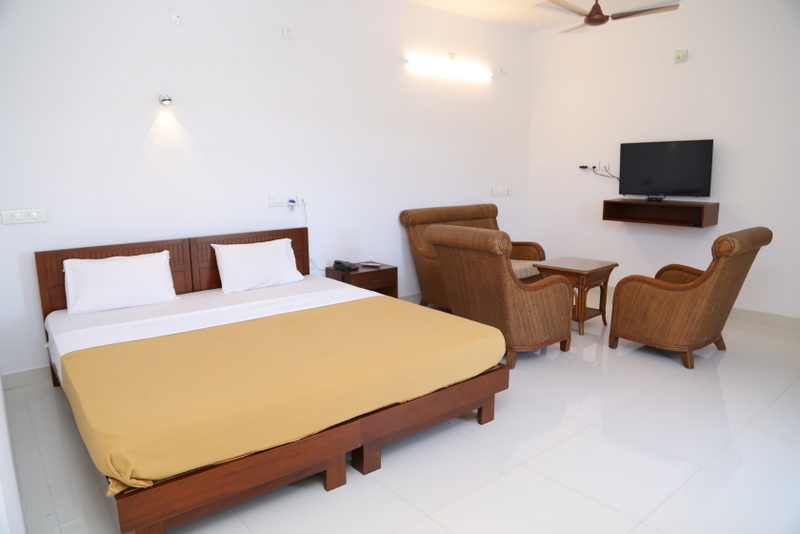 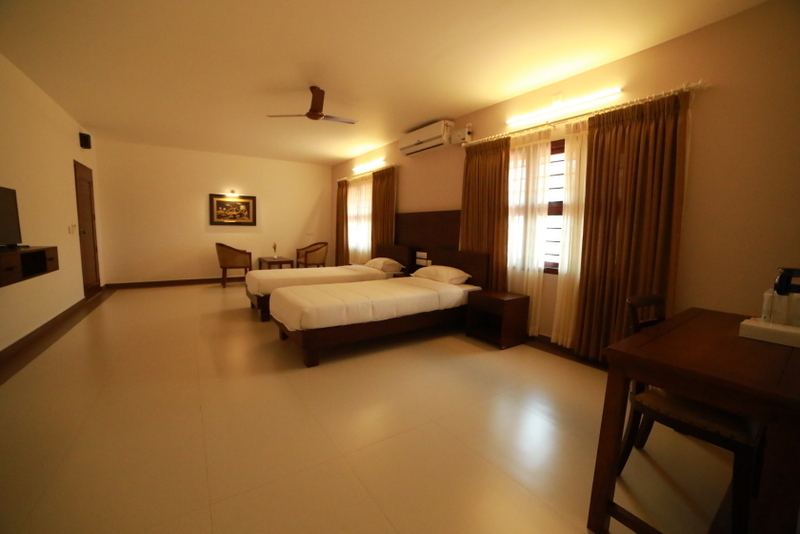 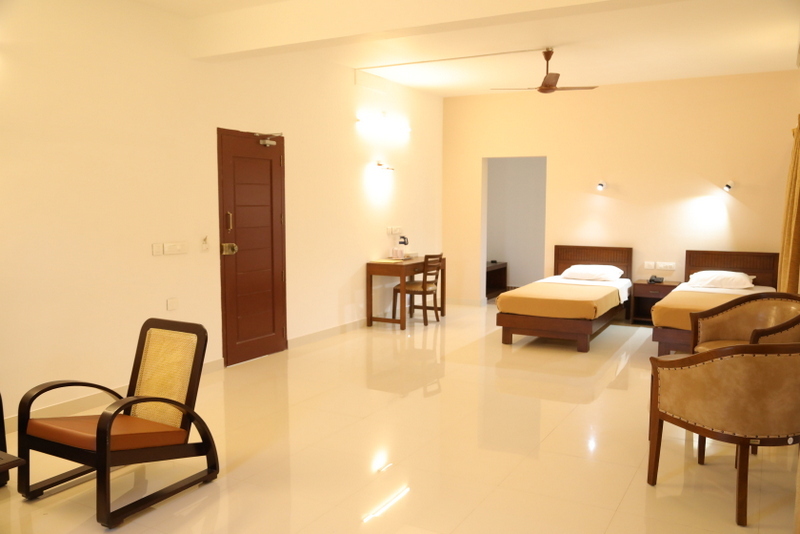 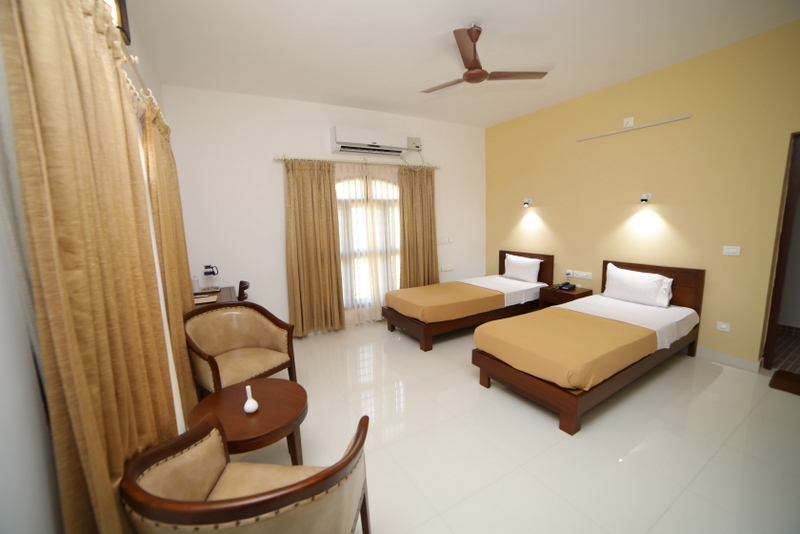 An air-conditioned, spacious and comfortable room with a balcony. 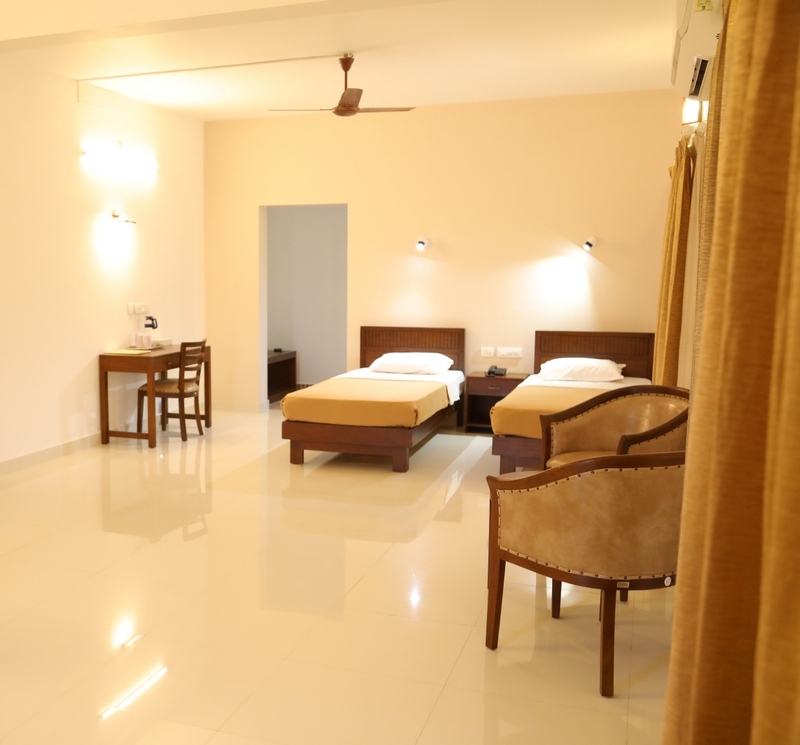 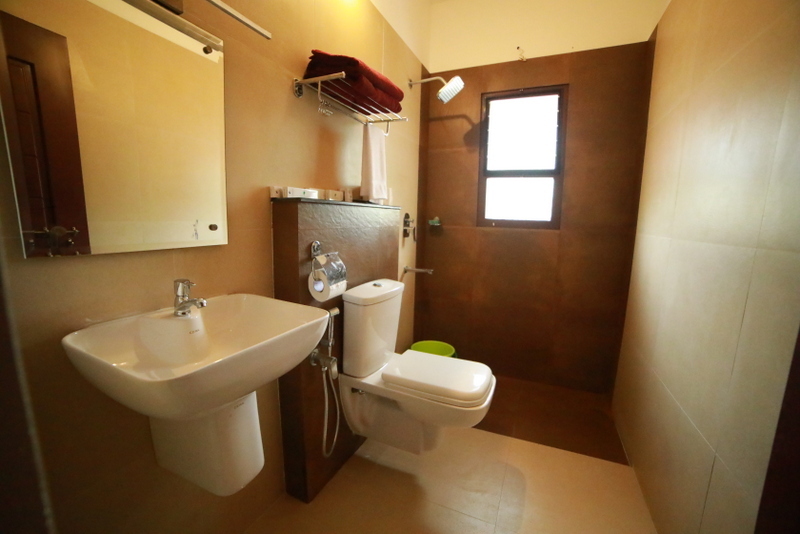 An air-conditioned room equipped completely for a comfortable stay with a spacious bathroom and a shared terrace in front of the entrance. 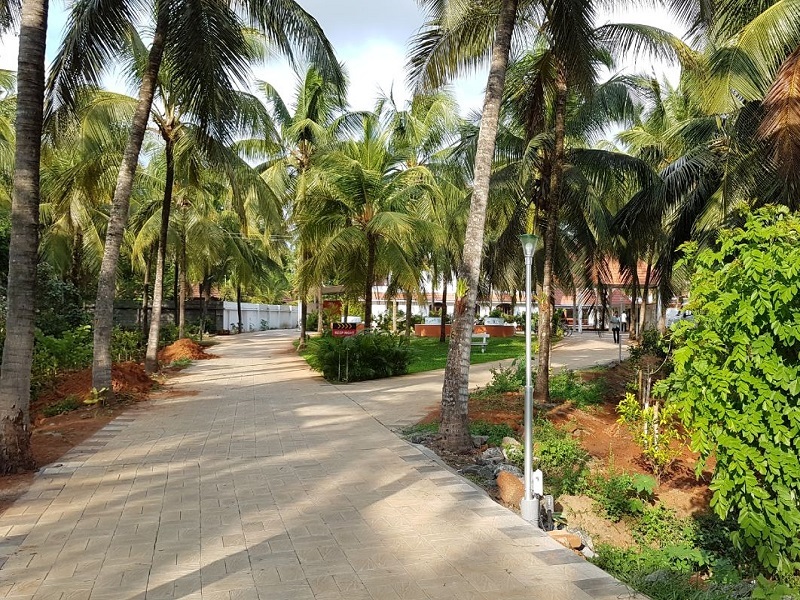 It is located near the medicinal plants garden, 250 meters away from the main building, swimming pool, restaurant and treatment rooms. 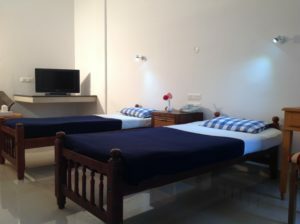 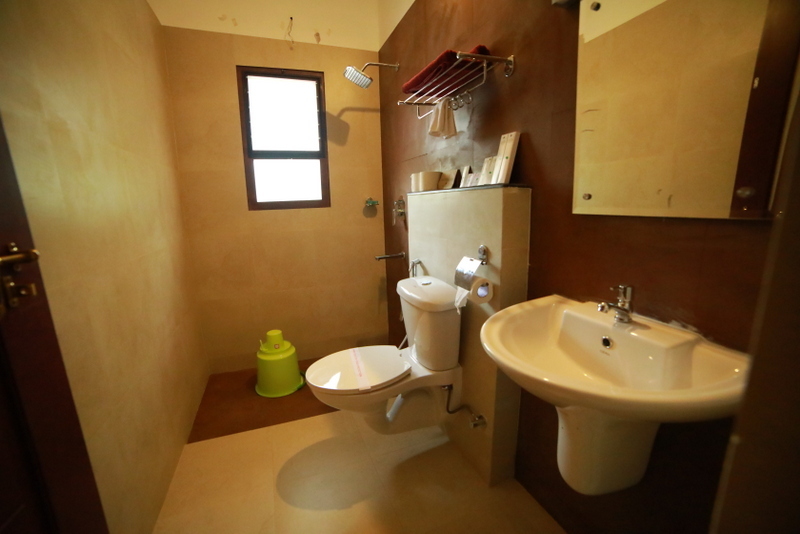 It is the most budget accommodation option in the clinic, consisting of a small room and bathroom. 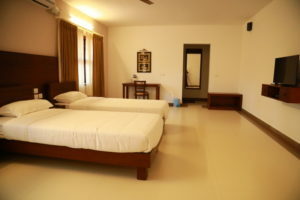 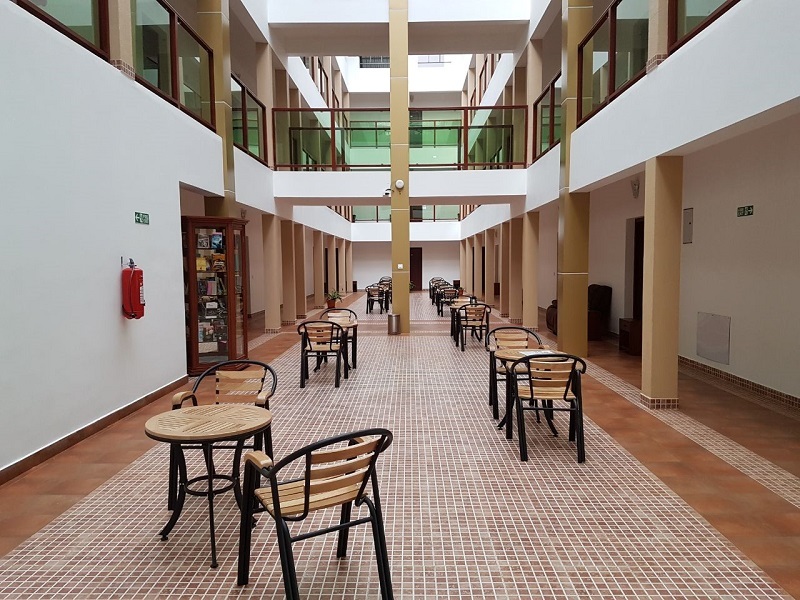 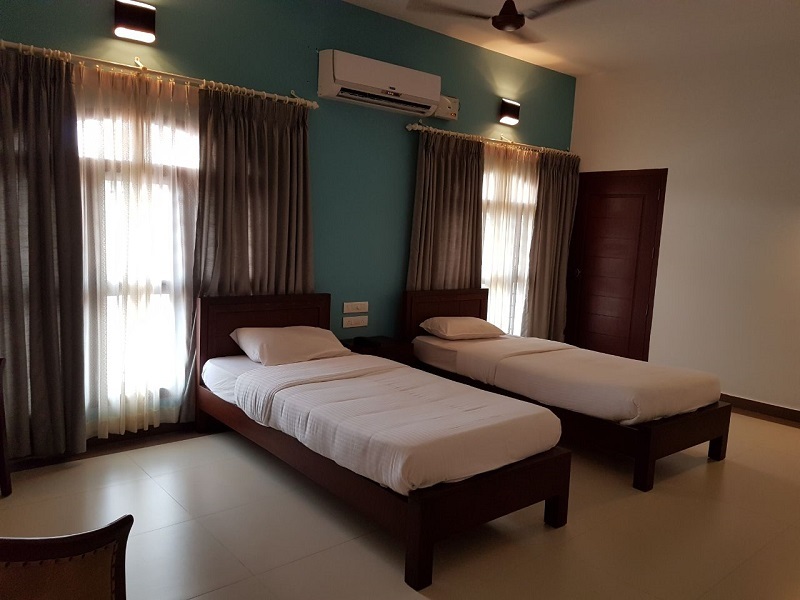 The Single room is located near the medicinal plants garden, 250 meters away from the main building, swimming pool, restaurant and treatment rooms. 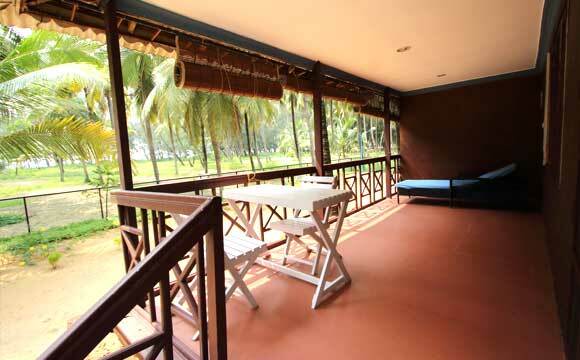 Room is located 250 meters away from the beach among the coconut palms and fruit trees. 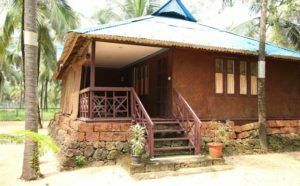 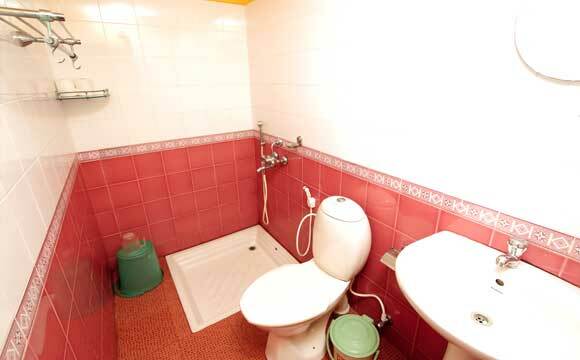 The bungalow has a private bathroom and a veranda with a picturesque view of the sea. 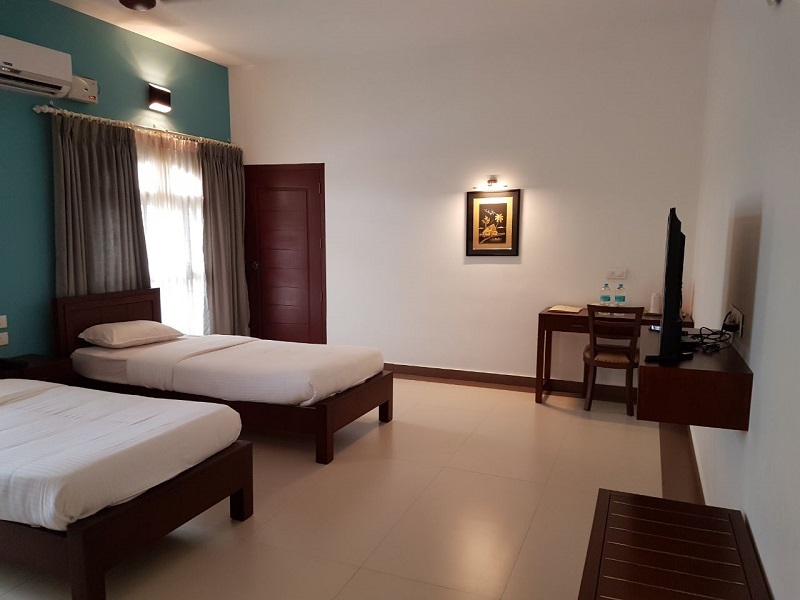 An air-conditioned room located 250 meters from the beach in a wooden house with a veranda with stunning views of the sea and the coconut grove. There are two Twin cottage rooms in this wooden house. The most comfortable room in the clinic consists of two bedrooms separated by a partition, living area and bathroom. 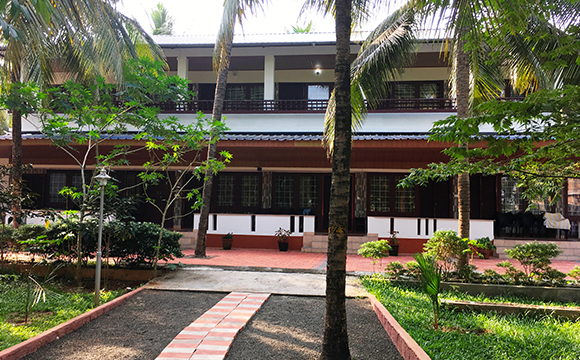 Rajah Eco Beach Ayurvedic clinic, opened in January 2018. 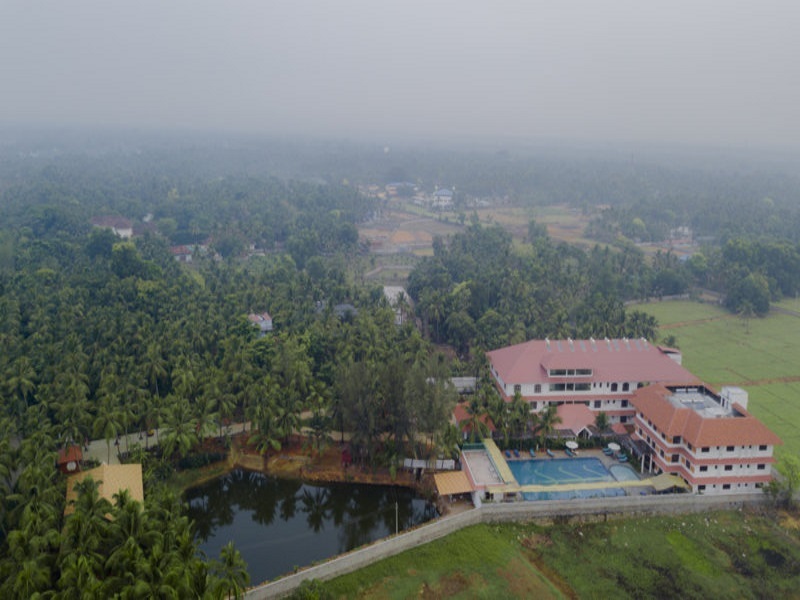 Is located on the shore of the Arabian Sea, near the pilgrimage city of Guruvayur. 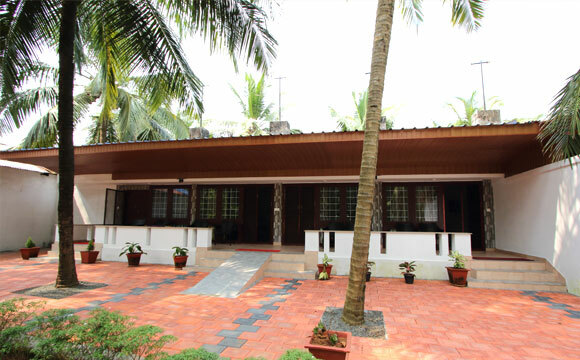 It is one of four clinics of the famous Rajah Ayurveda group. 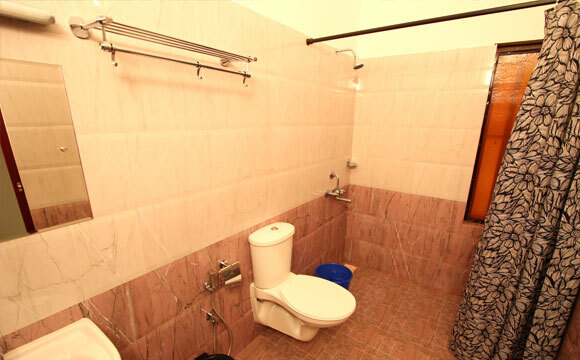 Known for its professionalism, high treatment quality and excellent treatment process organization. 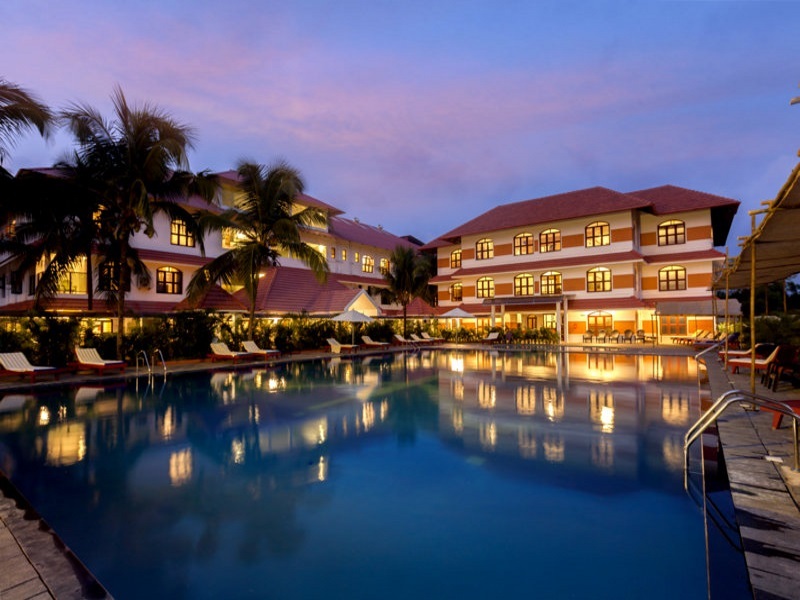 All clinics of the Rajah group are rewarded with State quality certificates confirming their professionalism. 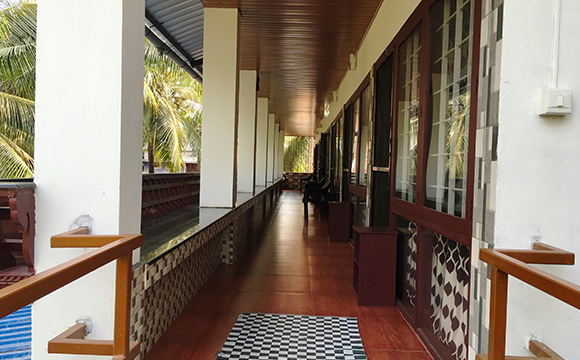 During Ayurvedic treatments, medicines and cosmetics produced by Rajah Ayurveda are used. 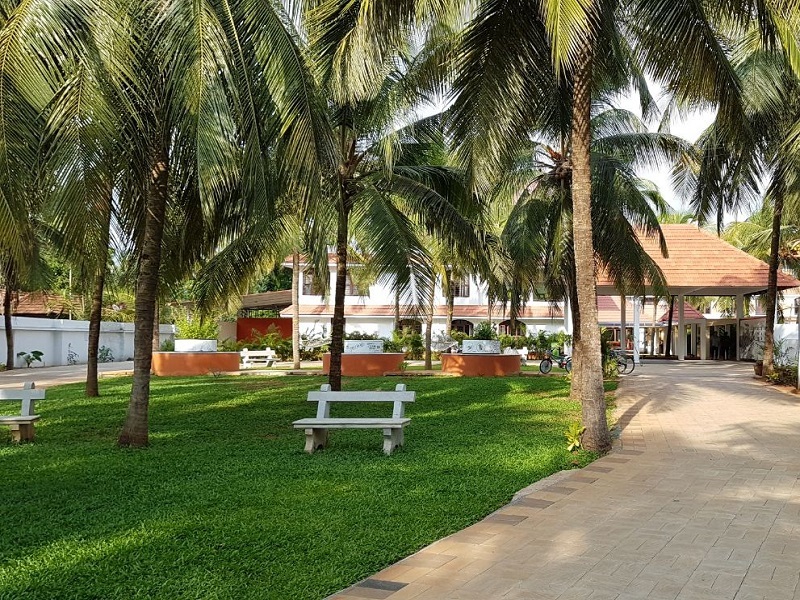 There are plantation of medicinal plants, Ayurvedic pharmacy, swimming pool, pond, yoga area, and Wi-Fi coverage on the well-kept and green territory of the clinic. 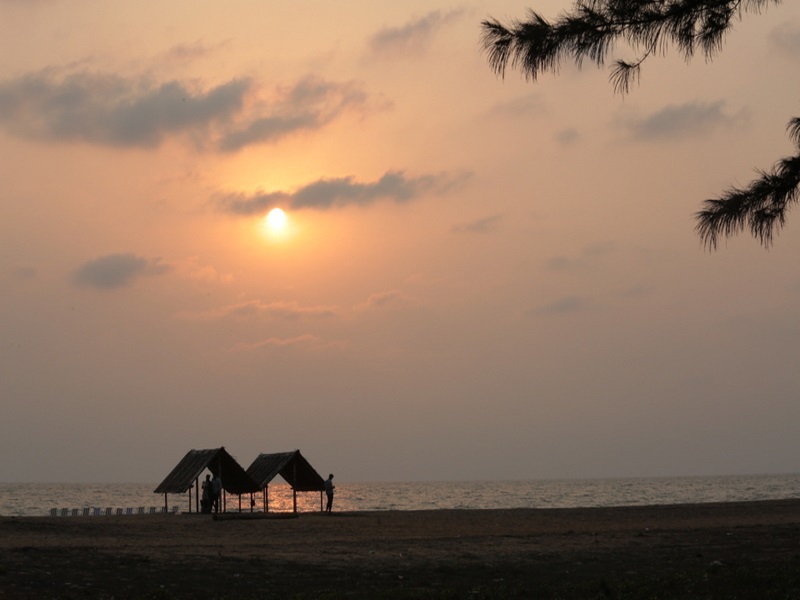 Every week Rajah Eco Beach holds Indian music and dance concerts, lectures on Ayurveda and master classes on Ayurvedic cooking. 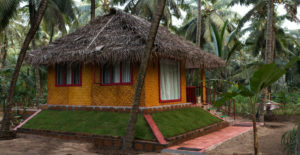 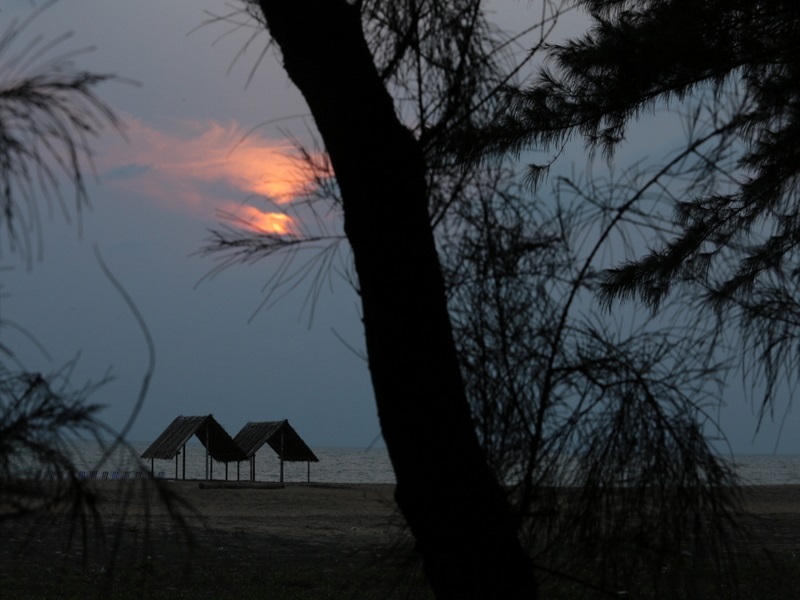 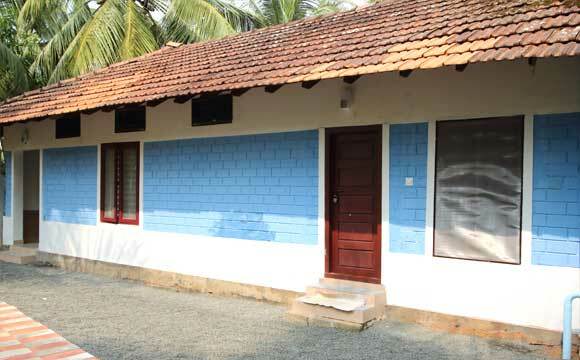 Rajah Eco Beach clinic is located of Kerala, South India. 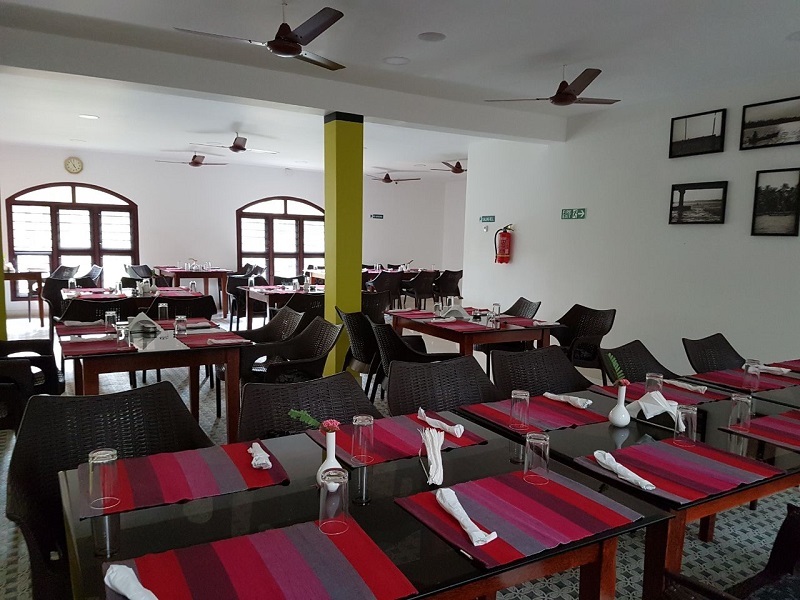 At the restaurant, guests can enjoy the delicious tastes of Ayurvedic vegetarian dishes from an individual therapeutic diet, compiled by a doctor. 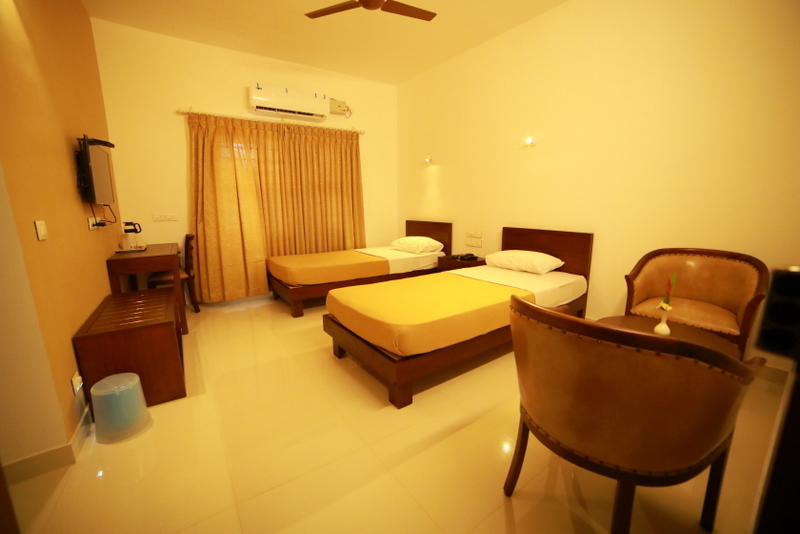 Standard Room, Deluxe Room, Suite, Super Deluxe, and Executive Suite. 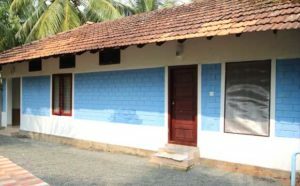 Single Room, Economy Room, and Twin Cottage. 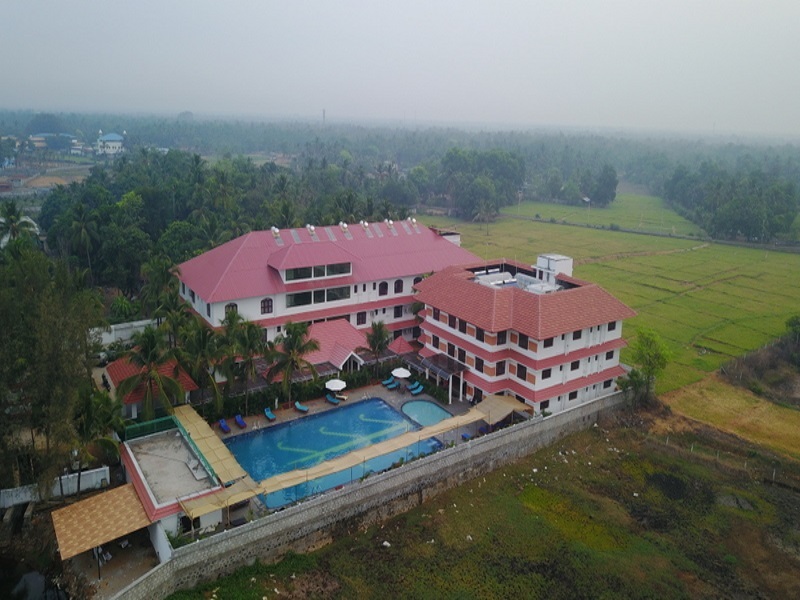 Rajah Eco Beach Ayurvedic clinic specializes in general recovery, rejuvenation and Panchakarma, as well as treatment of various diseases of all body systems, including severe ones.